Dog names say so much about your pet, and even about you. So it's important to pick the right one. Fortunately, we've got hundreds of ideas! 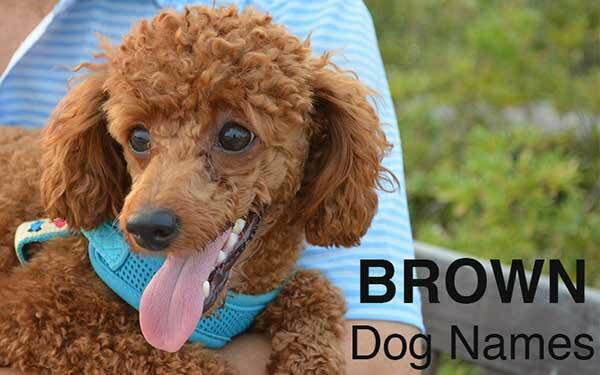 Search for dog names by breed, coat color, country of origin and a host of other categories too. You'll find heaps to inspire you right here on this page, and lots of links to even more name ideas. You can search by your dog's size and other characteristics too. Here are your most popular dog names for this year, taken from the results of our massive Dog Names Survey. A breed's original purpose or country of origin can often provide inspiration! Popular names for Retrievers include game birds, such as Wigeon and Teal, or Goose and Rooster. 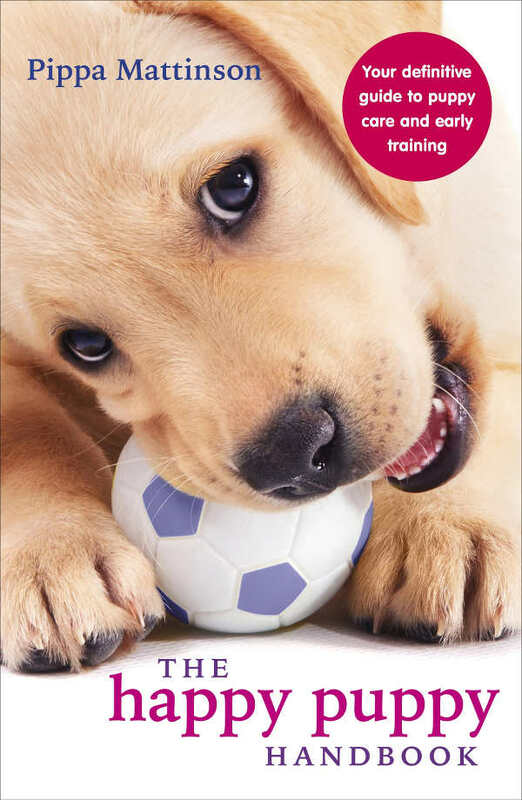 Tough names are popular choices for guarding breeds, such as Rottweilers and Dobermans. Or you can turn convention on its head and name your Chihuahua "Rambo"! Names may influence us in surprising ways. One study showed that how common their name is can affect whether or not people get hired! And another showed that children with longer names used longer words in their spellings! Of course your puppy won't be going to kindergarten, and won't ever have to spell, but pet names are still very important to us. That's why we have provided you with lots of different ways to sort through our giant library of fun and fabulous names. You will find below, more lists of names in popular categories, from gender to color, size to breed, and much more besides. 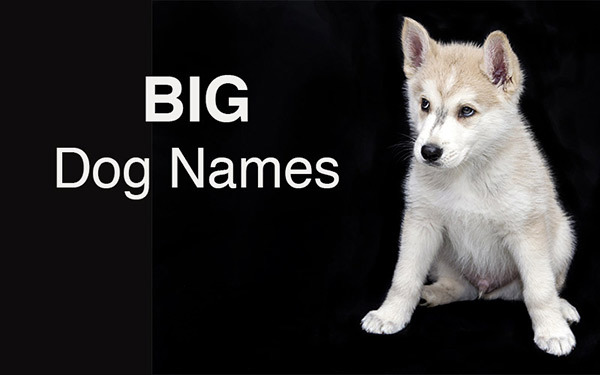 For even more dog name ideas just click on the pictures or use the links in the menu. 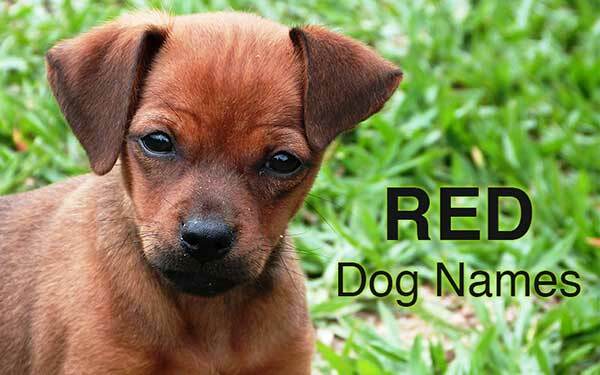 The perfect name for your pup is right here! Naming a dog isn’t always a straight forward task. Sometimes you have a firm idea in your head, which is squashed by the other members of the family, leaving you floundering. On other occasions you have no idea at all, which can make the job seem quite daunting. But whatever your situation, don’t worry. There are simply thousands of options to choose from, and we have a great method of breaking them down into easy to consider batches. 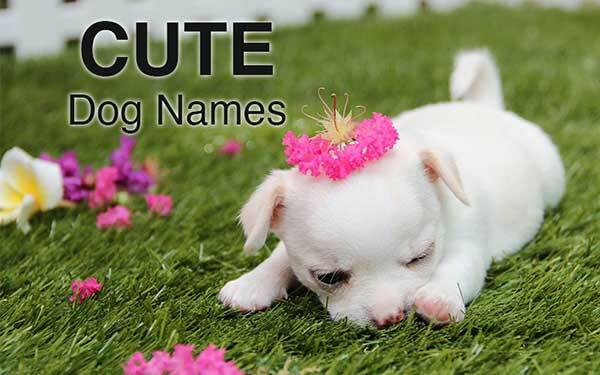 Helping you to draw up a short list of names you love, enabling you to pick to best one from your own personal dog name list. You will find below a number of lists of names in popular categories, from gender to color, size to breed, and much more besides. Whether you are looking for a unique choice or a good common pick, let’s get on with the search! The best names are of course a matter of personal opinion. Avoid anything with offensive associations! Short names are easier to use as a recall command, less of a mouthful and less likely to be abbreviated. You will probably find that if you give your dog a long name he or she will end up being referred to by a shortened version anyway. Your Dog Breed Selector. 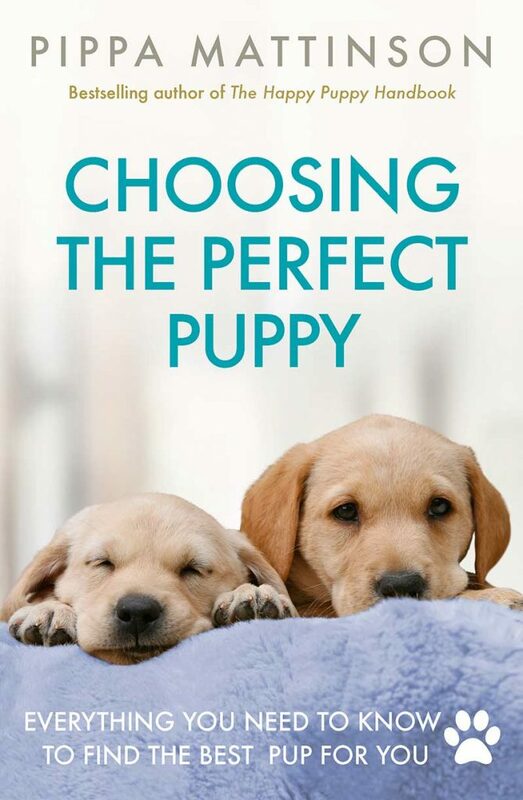 If your question is “what dog should I get?”, we will help you to work out the right answer for your family. How Long Do Dogs Live? 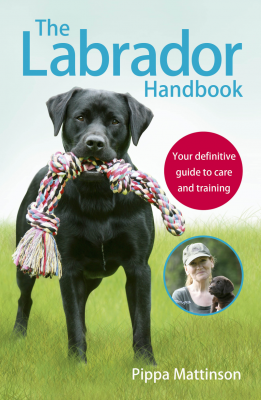 Uncovering all aspects of dog longevity, to help your pup stay healthy for longer. Try not to use a name that sounds too similar to anyone else you come into regular contact with. 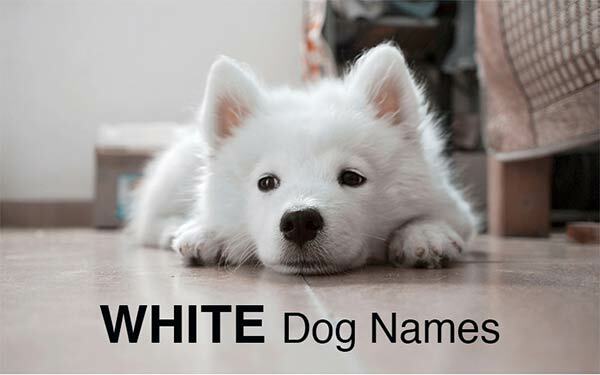 It makes it easier for your dog to see the name as uniquely theirs, and avoids confusion. Although it’s very disheartening when your family don’t agree with your choice, try and make them involved in the decision process. Picking a name that you all like will take longer, but will prove a bonding and fun experience. Setting off on the right positive foot for when your new addition arrives home, and turns everything upside down for the next few weeks! Human names for dogs are very popular in some families. We tend to give dogs human names in ours. A great way to begin is to start looking at baby naming books and websites. Check out the top names for the year. 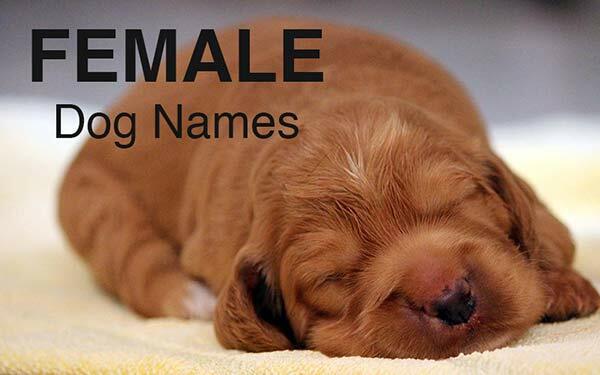 Girl dog names derived from girl human names are a great start. 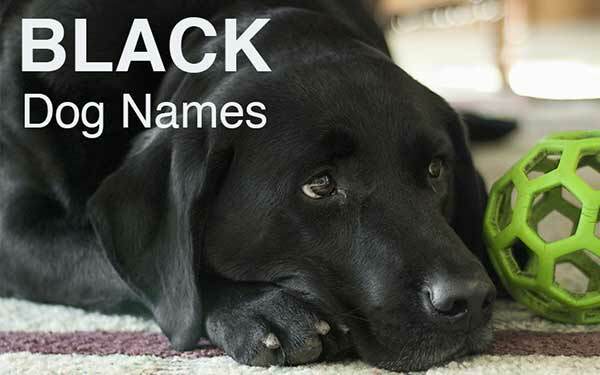 Some common names are enduringly popular for our canine friends. The top names for dogs vary from year to year. Changing with trends, and celebrities too. Awesome and cool names are once again a matter of personal taste, but generally tend to be shorter names that have fun associations. Cute names can be adorable. They aren’t everyone’s cup of tea, but if you want the fuzziest, fluffiest, squishiest of names, then these might be right up your alley. Funny names are one of those areas where taste has a big impact! You can use an ironic name, like calling your Chihuahua ‘Tank’ or Doberman ‘Fluffy’ or name your dog after a comedy or fun character instead. 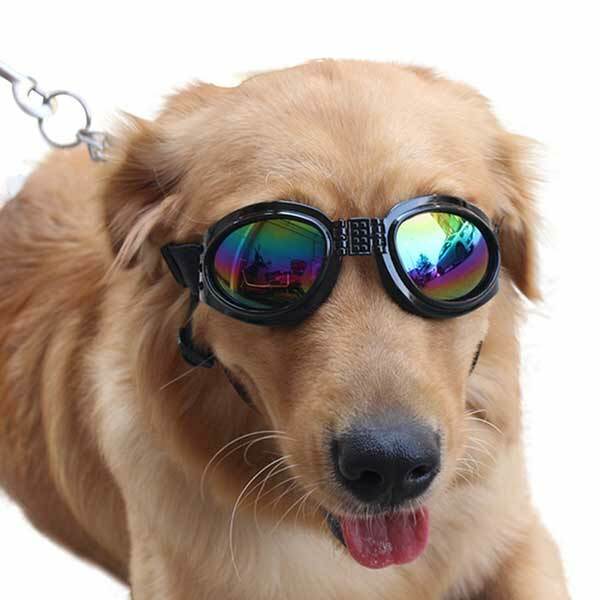 Short common human names can be amusing on dogs, as well as the names of other animals. Unusual names can be drawn from using more old fashioned or traditional human first or surnames, place names. Or names from literature or the arts, architecture or even everyday objects. The ideas below are of course not 100% unique, but certainly rarer and perhaps more creative than using some more traditional choices. Creative names are hard to come by, because for obvious reasons a lot of the ones which work well have already been thought of. But if you think outside the box, then you might find something that’s both unique and fabulous. 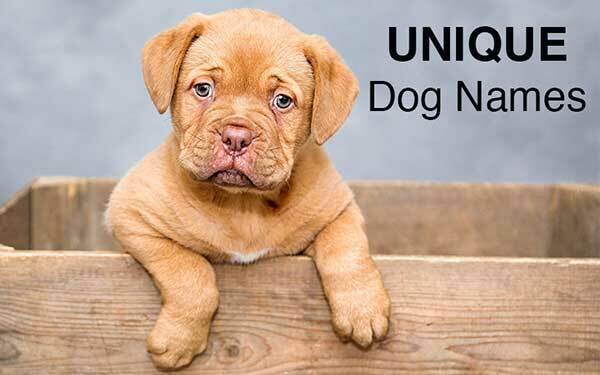 Another good way to name your dog is to give them a name that is descriptive, regarding one of their physical attributes such as their size or color. A big dog deserves a big name. One that reflects their physical status, but also adds a bit of fun. 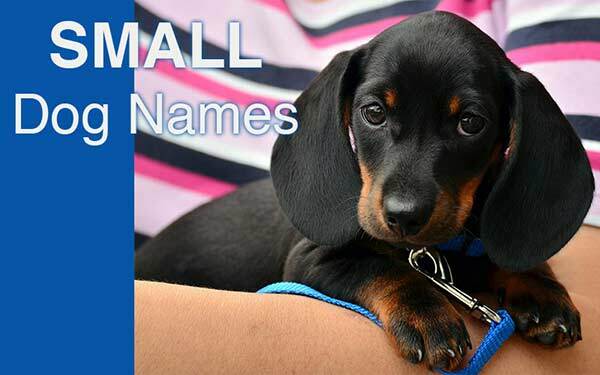 Looking for a name as cute and little as your tiny pal? Or a fun ironic name for your big bruiser of a pup? 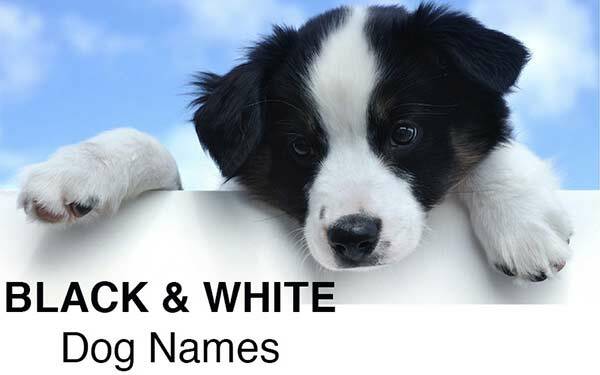 Naming your dog can be made easy if you decide to get inspired by the color of their fur! It’s a great way to give them a name that truly links to them, too. Black might be a very common coat color for a dog, but their name doesn’t have to be anything ordinary. Here are some ideas inspired by their midnight shade. White dogs shine from a mile away, with their glossy coats and snowy fur. Well, unless they get muddy, of course! Looking for a name that shows off your dog’s fluff even further? Here are some cool ideas. Some of our favorite breeds and mixes come in gorgeous black and white patterns. And these distinctive coats lend themselves to some pretty great names too. Who hasn’t looked at a brown coated dog and felt inspired! From gorgeous chocolates to delicious tipples, your liver pup is sure to inspire some great names. Red dogs range from almost orange to a fabulous dark rust. Here are some great names for any shade of red dog. From nearly white to glowing dandelion, your summery coated dog deserves a name that shines as bright as she does. 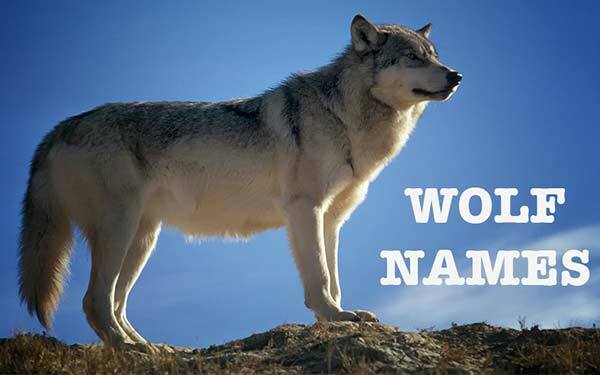 Wolf names can be a fun choice for breeds of dog who look quite wolf-like. Such as Huskies and German Shepherd Dogs. These wolf names are all related to the word wolf in various languages, or wolf associated mythology. It can be fun to give your dog a name to match their personality, or the personality that you hope they will have. Giving a dog name which puts across a certain impression, matches their appearance or personality, can narrow down the list considerably. 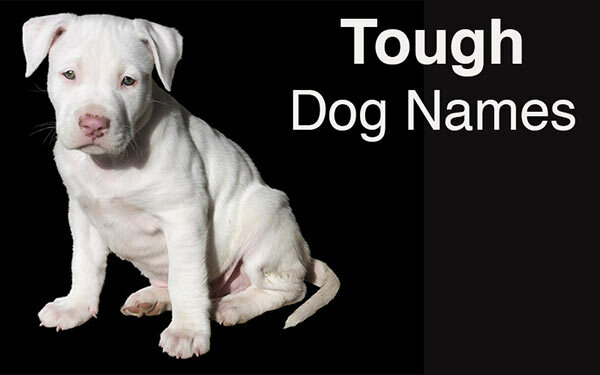 Tough dog names are all around us, especially when you think about the world of mythology or fantasy. These strong dog names can be those which give an impression of physical strength, or one which refers to someone with great strength of character, either fictional or historical. 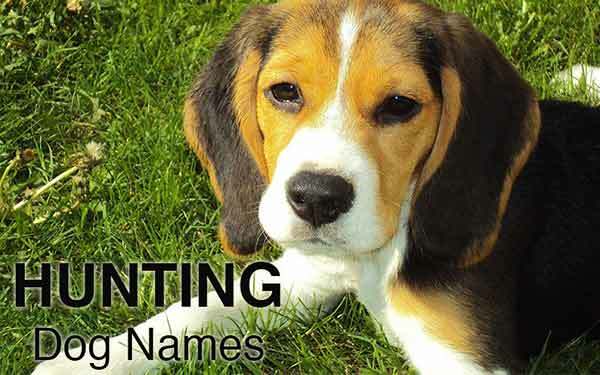 Hunting dog names can refer to hunting activities, but are often just traditional names or even those that reflect nature and the outdoors. If your dog originates from a certain country, or you have a strong tie or family history from there, then you might want to give him a name which reflects that area. There are several cultures and locations which are popular choices when naming dogs. Irish names can be either Irish human first or surnames, or even names that reflect something about the country or it’s reputation. There are some wonderful Scottish names, which would suit any dog beautifully. Perfect for anyone with Scottish ancestry or for dogs that originate in Scotland. You can choose whether to use the traditional spelling or more modern alternatives shown below. There are also several Scottish place names which can be used as great names. There are several very popular breeds of dog with German origins. You might like to give your German Shorthaired Pointer or German Shepherd dog a German dog name. There are numerous countries, cultures and locations you can look at when picking the perfect name for your dog. Think about your favorite places to visit or somewhere that has meaning to you, and this can provide a great avenue for ideas. 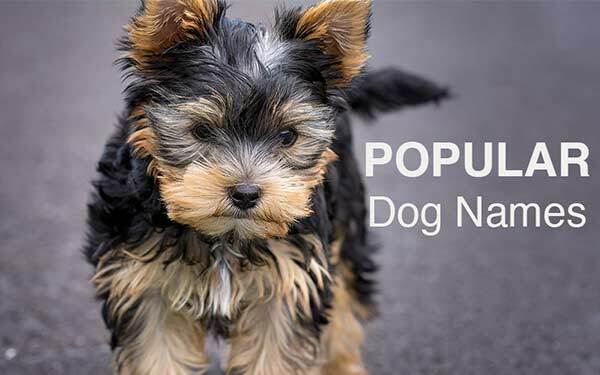 Lots of people understandably want to give their dog a name that reflects their breed. With dog breeds that are unusual in their appearance, or have been bred for a specific purpose, this is easier to achieve using descriptive words. German Shepherd names for example can reflect their loyalty or guarding nature. 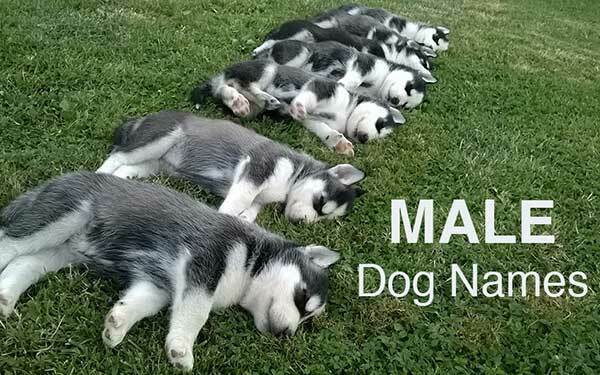 Husky names could be picked to describe their wolf-like looks or tireless work ethic. Labrador names could reflect their enthusiasm and jolly natures. When naming your dog to reflect this breed, think about the reasons you chose it. Why did you want a Border Collie or Terrier? What about their nature do you adore, or aspire to them achieving as they grow? This will give you a great starting point for choosing the perfect name for them. 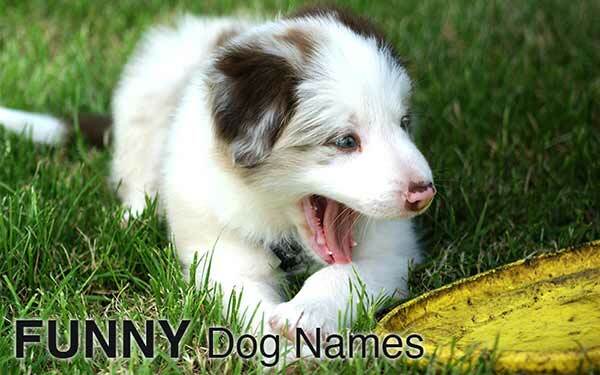 Great names, are those which work well for you and your puppy. Names that are easy for you to say and them to understand. Names that make you happy to say and happy hear other people repeat. Here are some of our top all round good names for dogs. Good names suit your pet from the day he arrives home until the end of his time with you. They are lasting, enduring, endearing and possibly have some kind of personal meaning to you as well. 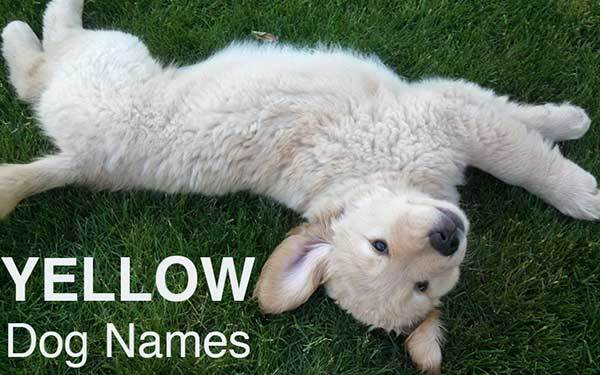 Why not let us know which name you picked for your puppy and why? We will keep this page updated with your thoughts and ideas! Here are some of the great names that our readers have picked for their dogs! Don’t forget to put yours in the comments box below! I’m going to get a dog soon, but not yet sure of the breed or gender. I would like to have the name relate to love somehow. Any suggestions? I have a awesome ? dog ? who is super cute and fun!!!!!!!!!!!!!!!!!!!!!!! I have 3 big dogs, one is Border Collie Rottweiler-named Shadow, another is a Strattshire terrier(brindle colored pit bull named Thor, and last our Shepard Pit Bull Mix named Loki. I need a good name for a male Catahula/Blue Healer mix. We have a red blue healer mix with the name of Kieko. (key-koe) but I think a good name for a male blue healer is Bruce. I have a Rotti/Shepherd mix rescue named Roman. In all my researching of a name for my new Shih Tzu puppy I have not seen this name mentioned, HM? I also have a Chihuahua/Wire hair terrier rescue named Pookie. My daughters dog is named Zazu after bird in Lion King. Mother has a Shih Tzu male named Bobby and a Shih Tzu/Poodle mix female named Baby Girl. I am getting one of Bobby and Baby Girls puppies in a few days and have pretty much decided on Darth for his name. He is brown and has a dusting of black fur covering his entire face. We are getting a micro mini goldendoodle in a week. He is brown with with white paws an other white markings, on his head and chest. We need a name. I would wait, bring her home and see which name really fits her the best. You might pick something completely different. No one has mentioned the name “Poopsey”. 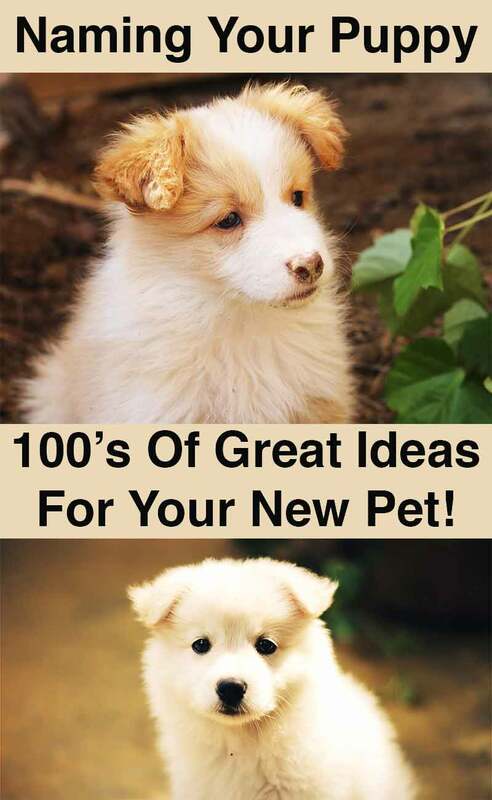 As a girl, my father brought home a tiny little fluffy dog that was so fat, he couldn’t take more than a few steps before he’d sit or lay down. He was a rescue dog so we had no clue what his breed was. My Dad named him “Poopsey” because he was too pooped to walk. Little did we know that Poopsie would grow into a giant sized mammoth of a dog. You can imagine the surprise when we had unknowing guests over for dinner and we’d call out “Here Poopsey” and out from the bedroom would gallup a sizeable dog. We had a lot of fun with it. ? “Corky”. My aunt and uncle had a cute little one. Passed several years ago. Loved that name though and has stuck with me all these years. I am getting my 4th Maltese on Dec. 12, 2018. He is a little boy. I have decided on “Sabre”. “Sabra” is Hebrew for a person born in Israel (verses immigrated), but with the “a” on the end, it sounds more for a female than male. Lost my little guy: “Benji” 2 weeks ago today (10/21)…I am still struggling. Difficult to even get out of bed some days…..he was very “special”. We had almost 13 wonderful yrs. together! When we lost our Darby, my step mom gave us the best words…. :know why they don’t live so long? So we have time to love many of them!” there is someone out there waiting to love you back! I needed this thank you! My min pin (13 )penny passed away and I’m missing her like crazy! My baby is Cayenne, a 10 year old lab/pit/something mix. He is copper red and his eyes are almost auburn. He’s the cutest and sweetest dog I’ve ever had, and a rescue, of course! Your dog sounds exactly like mine!! I had a chocolate lab named tika but we were going to name her snickers. I have had a pitbull named Zeus. I had a Boston terrier named sparky. My current frenchton was named Murphy but some other names we thought of was Nero, cheerio, Alfie, and Percy. There were all wonderful dogs! My Wheaton terroir-poodle mix is named Jemma, she is a gem of a dog! I had a pair of Shih tzus and the male was Ching Lee and the Female was Mei Ling. Sadly, they have both gone to the Rainbow Bridge. I call my new Shih Tzu puppy Maisie Mei. Names of my dogs from the first like 30 years ago to this year, Lily 18yo and Zippo 3yo. Petruccio De La Grotta Azzurra (PEDIGREE NAME) we call him Petrus. Mastino Napoletano. Lilypop (PEDIGREE NAME) we call her Lily. Cocker Spaniel. I’m so sorry Jose. I hurt for you and with you. Lost my little fellow 2 weeks after my wife passed away. I don’t want to ever wake up but I do and don’t know why. Hang on my friend. I’m so sorry Jose. I know how you feel. My Auggie Doggie passed away two weeks after my wife. He was all I had left in this world. I have standard poodles Zorro(14yrs) and Gage(3yrs)and female Siri(3yrs) and a pekinese baby girl(8wks)named Jinx. It’s fun coming up with names! We have an Australian Shepard that we named Foster after hearing an advertisement on the radio on our way to pick him up which claimed “Fosters is Australian for beer.” What can I say, we were young. He’s now 14 years old and the best dog ever! You should name the puppy teddy! I have a brand new zuchon baby and I’ve named him Tucker. I imagine he will also hear himself referred to as “Tuck Tuck” on occasion, too. Amazing way to choose a name. I am going to take a name from here after conversation with my child. Thanks for the sharing such a interesting article. And a Catahoula puppy named London. We’ve never met another Ludlow! We have a 3yr old Red mini goldendoodle names Lady. Full name if Lady bug rose. Getting a male mini goldendoodle it’s red with white by the eyes this week. Need a name. Help! Getting another mini golden doodle male. It’s red/brown cream color by the eyes. Need a name? We are getting a standard Labradoodle. Plan on naming him Trumpet. I had a golden Retriever and he was called Kipper. We had a springer spaniel, black and white field my son named checkers because his spots were perfectly round! What about Brandy or Cookie? Hi, I’m getting a little morkie girl that is white and Champagne in color . I have no idea what to name her …any suggestions? Our current King Charles Cavalier is named Bentley Bogart. Bentley is a Blenheim red& white. We are getting another Cavalier in a few weeks. It’s another little boy and has a ruby coat (red.) We are thinking Cooper Cagney. But it doesn’t really resonate with us. Would love to have input. Royce..and Bentley..sounds good to me. We have an Olde English Bulldog and her name is Nya. In a few days we will be getting a new baby boy, same breed. He is chocolate with green eyes. We are between Scout, Gibs and Cooper for him. Heard the name Fargo today for a winter pup. Lol!! My sister has a huskey mix . He is brown and white colored. His name is Zepplin. And my 6 year old name our black kitten Dr. Strange. French mastiff’s. Male is Caose and female is Misery. Getting a new little boy and can figure out a name. I’m getting a goldendoodle puppy soon, male. I will be training him to be a service dog. So I was thinking the name Blake, kaiser, chip, and J.C. I dont know which to go with though. Any ideas will help! He is a redish brown goldendoodle. I have an african Mastiff Boerboel, I named her Zeekari. Her mom was Zeena and her dad Bakari so I xombined them. We have a border collie catahoula mix named Fenway Bark. What can we say, we like the Red Sox! I have Doxie x. His foster name was Harrison. After fostering him for a time, I got to see his quirks, etc. Once I adopted him, I changed his name to Shiva. Shiva is the Hindu God, meaning destroyer. He has destroyed countless hairclips, chapstick, harnesses, pens, and various other items. My dog is a long haired Dashund, and i call him D.O.G.,phonetically pronounced of course. I have a Black and Tan mini Dixie and her name is Martini because she is a cocktail weinnie. I didn’t see Jet on any of the list. That’s my German Shorthair’s name. We have 2 pits (Staffordshire terriers) my all blue boy is Buddah, and my reverse brindel blue girl is Quinn. I have one 3 week husky puppy and a 3 week German Shepherd puppy my 3 week German Shepherd puppy is named Elli and my 3 week husky is named Sasha my 3 week husky puppy is a girl and my 3 week German Shepherd is a girl too. I’m 8 years old. Our two boys are Jethro, black maltese x shih tzu 2yrs old, his little brother Arlo, yellowey/light caramel jack Russell x maltese 4 months! Neither name is listed, but we feel they’re pretty cool anyhow ???????????????? Great Pyrnee and Eng Mastiff, brindle stripe fur…His name was Bob!! Our Australian Labradoodle is named Freya. Freya is Scandinavian for Lady, derived from the name Freyja the Norse goddess of love and fertility and mythological wife of Odin. (I don’t see Freya on any of your lists). Now we are trying to name one of her puppies, a merle colored little girl. Any suggestions? My Male black lab was named Simon because he was so smart and I have a Chihuahua named Sheldon from the Big Bang Theory. Now, trying to find the perfect name for my female silver lab puppy I’m getting in 2 weeks. Any suggestions would be appreciated! We have a german shorthair pointer named Lars. He thinks he’s a good dog, and he mostly is. We have a beautiful chocolate lab (she is 3 now) and I was trying to think of a good name for her, when all of a sudden a Hershey chocolate commercial came on and I said her legal name will be Hershee Barr (aka: Hersh or Hershee-girl). I can’t imagine her with a different name. What lovely choices! My favorite is Bella from that list 🙂 Let us know what you decide! 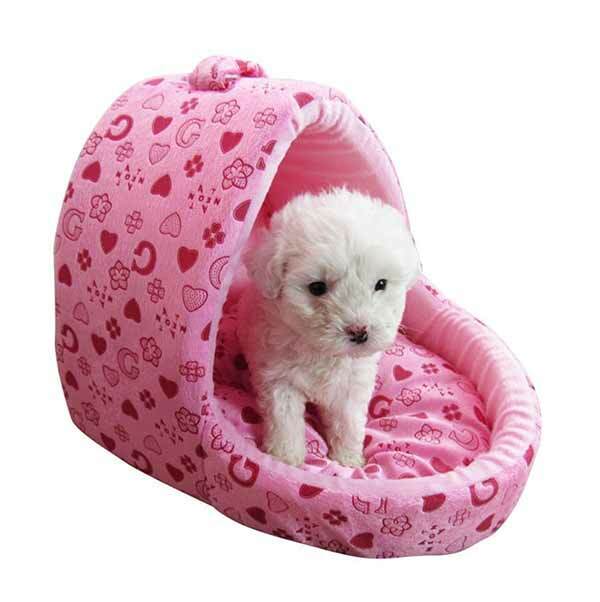 My fav names for toy poodle females are Tori, Abby, Maddy, Porshia, and Charley. I have a 14 yr old toy poodle named OLLIE. He’s apricot/white in color. I need help naming a maltipoo female. Could I please have some suggestions. She will be white or apricot in color. I’m thinking Tori or Charley. My new puppy’s name is Sergeant Major. AKA Sergeant or Sarge. He’s a German Shepherd mix with Blue Catahoula Cur. He’s already living up to the name with his ballsiness personality. My black and white and very proper shin Tzu is named Bow tie. And my son named his little fluffy brown mixed dog Hashbrown. I have 3 dogs. A Bichon frise crossed with a Border terrier called Coco (as in coco pops). I also have 2 Springer spaniels (brothers) one chunky boy called Bear for obvious reasons (his nickname is fat boy lol) and the other is called Caru because it means loveheart and he was born with heart shaped patches all over him and luckily still has them. I have s 1yr. Old unregistered pitbull terrier. I raised her from 3wks old, her name is Tootie! How cute… that’s my grandmother name. My 15 month old Golden labs name is Mercedes. My three year old black lab is called Zeus and his half brother who is a fox red is called Ace ???? I named my pit bull Jeter after my favorite ball player. My red-yellow lab is a male and his name is LEROY. Everyone remembers his name because it is different. They relate his name to The song BAD, BAB LEROY BROWN! The mailman said he sees a lot of dogs every day and cannot remember their names, but he remembers the name LEROY. We have a 5 month old Berne-doodle, my husband & daughter named him Dallas after their favorite football team! I rescued a Jack Russell/Chihuahua mix who was very tiny so I thought that a little girl deserved a little name – hence “Mia”. I have had two rescues first came I named him Churchill 2nd shelter save named her Addie. (Not a puppy mill!!). Named him Tater. Why? Have never seen or heard another dog so named. We have a male pitbull mastiff named Luke and a female pitbull lab named Leia. We’re not huge Star Wars fans but the names seem to fit. They should definitely be added to the list of greatest names ever! Anton, Atlanta,Attila,Askari and Axa. What a pack of Jack Russell Terrier ????. We now share our home with two girls. JRT Abbey Tigress called Nali and Dobby a lovely Airedale Terrier. Best regards from Bavaria …. I love Terra! We have two Welsh terriers–Fiona and Rosie. We have a chow/golden retriever rescued after someone threw her out of a moving car. My husband wanted to name her Alcohol because she is a “licker”. Ha haa. I said no but we did name her Bailey. Now 9 years later she is still a licker. I have a golden spaniel with a long snout called Zazu from the dodo bird with a long yellow beak in The Lion King. And his black, naughty little brother who is called Raffiki after the monkey! We have landseer named Beorn. And mix named Bilbo…. as they say-nomen est omen-Beorn is a beautifull big bby bear…Bilbo is…Bilbo …. Our black lab puppy is named Aria. My Sister has a Chocolate Lab named HERSHEY. We named our Red Lab, Gracie. Because she was the cutest kind of clumsy when she was a tiny pup that my husband & I would happen to say to each other “she sure isn’t very graceful” whenever she would run into something like our our legs when she ran to us, or the couch when she was playing or a bush outside because she loves to run so fast she just couldn’t stop in time. I did give her a middle name also because she is very lady like and such a big sweetheart, plus she is my fur-baby so I named her Gracie Lou. I think Spook for a black dog is offensive or at least in poor taste. I have a black lab mix who is very playful. His name is Nintendo and a little burley blue Pom named Yosef. Hi Ashley, here in the UK the word spook means a spy or a ghost. None of us have ever heard it used to describe a black person. However, I’ve just googled the word and discovered the urban dictionary definition as a derogative term for a person of african descent. Because of that, I will now remove it from the list. And I’d like to thank you for drawing it to our attention. 🙂 We love the name Nintendo! My black lab is called Barkley. Not sure why its top of the funny list ???? He had already gained his name from previous owner. We adopted him at 8 mobths. Because dogs bark…Bark-ley. 😀 I think I might borrow it. My partner and I had been looking at getting a dog for a few years. Reasons being finding the right breed for us, waiting for the kids to be bigger and a bigger house. 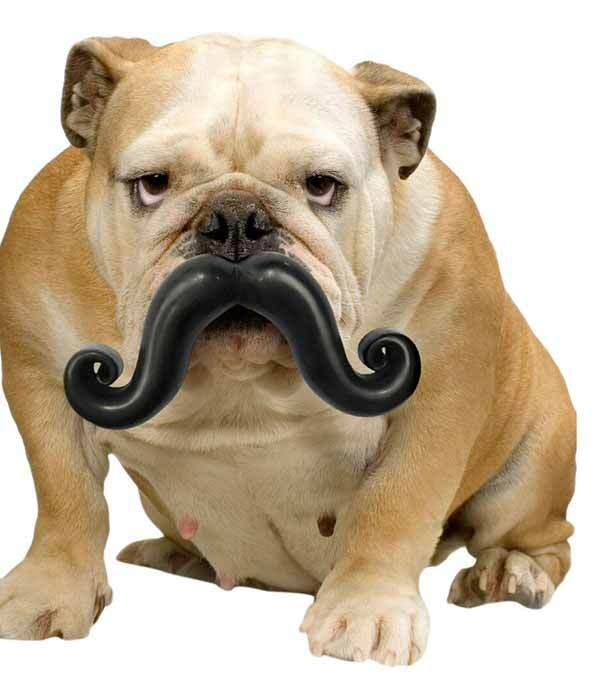 About the time we decided it was time to get a dog, my partners uncle Maurice died leaving him some inheritance. So we used the money to buy our now 6 month old stinky, bouncy, pain in the lovable bum black lab, called Maurice. Hi our black lab is called Woodstock!!!! Our two white female labs are named Marley and Zara! My 8 week old Westie is called Spud! Solid but cute, just like him. My chocolate lab is “Zuzu” – from the classic movie “It’s a Wonderful Life.” Suits her perfectly as she zoom zooms around an agility course! My little male chocolate lab is called Bingo. Everyone laughs or sings the kids song. Our choice lab is called Bing after Bing Crosby ! Our little golden lab is called ‘Rue’ we had a hard time thinking of a name but the lady who we bought her from referred to her as the little golden girl – so we googled the show and one of them was called Rue! She is 4 months and settling in so well! I have just found this website by the way & I love it!!! My 2 year old yellow Labrador is called Gino. He has a superb placid nature. He is normally referred to as Gino Baby Boy. We tried a hundred names on our little black lab puppy on the ride home, but none seemed to fit. We stopped for gas and he woke up and discovered the little bag of food next to me in the truck. I gave him some, but he attacked the bag for me. I offhandedly said “oh, aren’t you a little starving Marvin.” My husband and son thought that was funny so his name is Marvin- he does eat a lot! That is supposed to say attacked the bag for more. Brilliant way to chose a name! And nowhere a Fergus! Shame on you. We’ll have to add it in! Could u add in Finn too, that’s our 5 month old black labs name ? I am getting a Dachsund going to name Sarlet if a girl don’t ha vs any Idea if it is a male any Idea’s. I’ve named my 4 month old site siberian husky Chinook. I had a Pandora, although Panda was her call name. I rescued her and when you opened up her cage it was like opening up Pandora’s box. 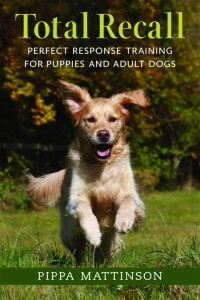 (With intense training she turned into the absolute best dog ever). My dog with a C name (a very common “C” name). Charlie, originally named after Charles Barkley the basketball player, shortened to Charlie, was one of the best dogs I have ever owned.